At this time the famous E3 is being celebrated in the city of Los Angeles . In this event, the different brands present their products in the form of a video game. But not only titles oriented to the PC and the consoles are presented; games for mobile systems are also presented. Bethesda has been one of the first, with one of the most striking titles of the brand to date: The Elder Scrolls: Blades , the new RPG of the brand that comes to relaunch what was the mythical Skyrim . Recall that a few months ago the company launched the game The Elder Scrolls: Legends , a card game that had little or nothing to do with the real experience of a The Elder Scroll. Undoubtedly, the surprise of this E3 of 2018 has come from Bethesda , the skinning company of the mythical Skyrim. Although it was expected a new title of the legendary saga for PC and consoles, the firm has finally presented a mobile game, which is called The Elder Scrolls: Blades . As we mentioned at the beginning of the article, this new Bethesda game comes to re-launch what was once Skyrim . In short, it is an RPG game in which we will have to complete different missions to gain skill points in order to improve our character. Another of the most interesting aspects of the title is that we can create and customize our city , as well as manage it for improvement. Of course, we can fight with the beasts of the game and even with our friends in a new multiplayer system. 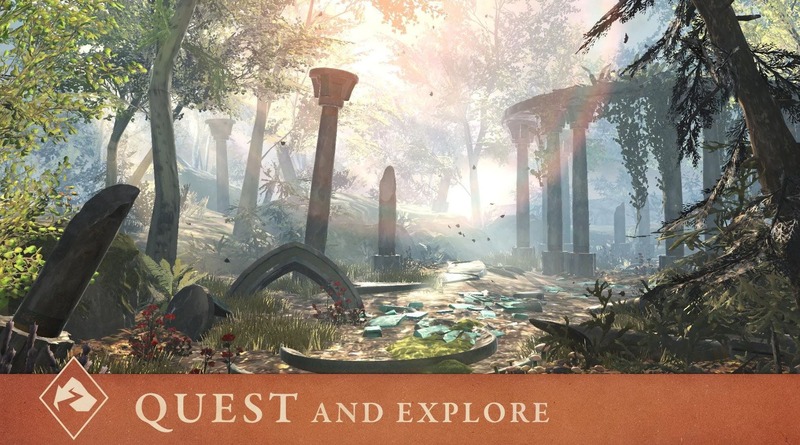 We can also explore the map as in Skyrim and buy all kinds of weapons and objects to improve our player, which we can customize to our liking. At the moment, the game has not yet been released to the market, although we can access the pre-registration of the application in the Google application store through the following link. According to the company, the game will end up coming to both iOS and Android during the autumn of this year , so it is expected to occur during the month of October or November . Touch to wait for its release to see if it is a game or a title worthy of Bethesda.